Not anymore! 'Pro Monthly Content' connects your WordPress site with our professional writers for unique, high quality content published when you want it, on total autopilot! Also, with our Wordpress plugin, you can automate interlinking! Can you say 100% hands off? 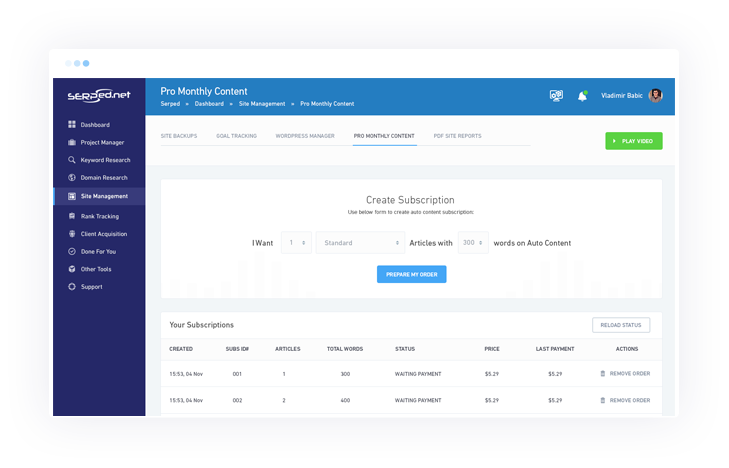 Blow your clients away by your work ethic and content creation... We manage all the back end work, you just create a subscription (this is an addition to your membership as the money goes to the writers) and provide keywords, our system handles all the rest for you. Constant, unique content and inner linking for your client sites. Your chance to show off how much work you're putting in, they don't need to know you're outsourcing it through a powerful auto-pilot system.